A customer recently emailed in asking what are some good campgrounds nearby where her and her 4-year-old daughter could stay when visiting us this summer. What a great question! And the answer is there are too many to choose from! From Bandon to Brookings, we are pretty spoiled for choice when it comes to quality campgrounds that include both the beach and the forest. 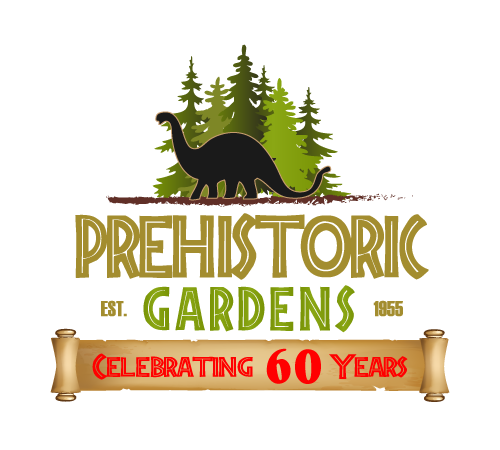 However, not wanting to disappoint, we came up with a list of five campgrounds within close-ish proximity of the Prehistoric Gardens that are camp-tastic! Only six miles north of us, Humbug Mountain State Park is the closest campground to Prehistoric Gardens. This campground’s main attraction is Humbug Mountain, a 1,756 feet tall hikers paradise that is a must do for those brave enough. The Mountain also doubles as a wind-breaker, protecting the entire campground from the cool ocean breeze that rolls off the Pacific. During the summer, you can count on the temperatures being at least 5-10 degrees warmer that surrounding areas. With full RV hookups as well as tent only spots, Humbug Mountain has something for everyone. Not to mention hot showers, a cool amphitheater and beach access. The second nearest campground is Honey Bear Campground and RV Resort, located only 7 miles to the south of Prehistoric Gardens. This well-establish park sits on 100 acres of prime Oregon forest, but the real attraction of Honey Bear is it’s world-renowned Black Forest Sausage Kitchen. 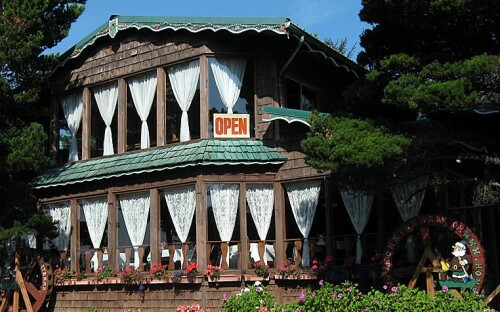 With family style seating, live music and serving the best German cuisine around, dinner is more than just food, it is an experience! The resort also offers fishing, cabin rentals and a walking path to the beach. Don’t let the name fool you, Indian Creek RV Park isn’t just for RV campers, as they also have 26 secluded sites specifically designated for tenters! Just a short 15 miles south of Prehistoric Gardens, Indian Creek is perfectly located next to the world famous Rouge River. 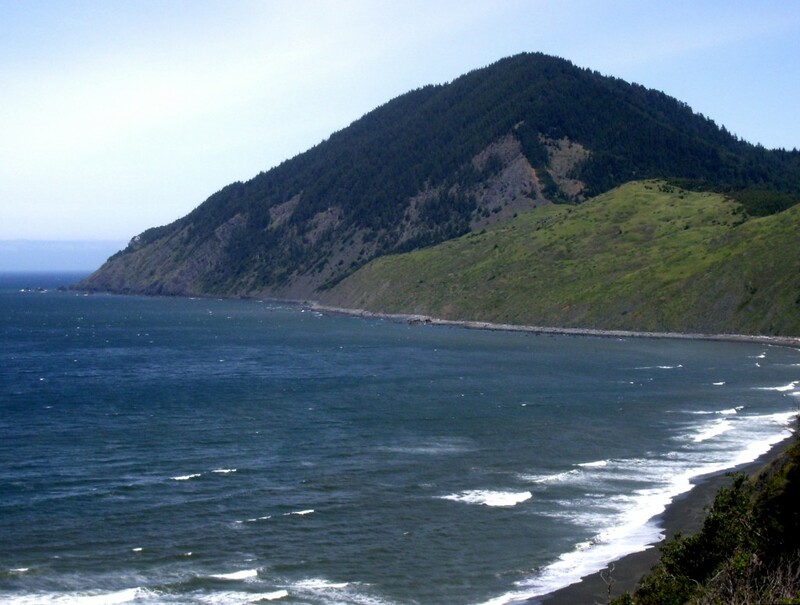 And just a stones throw from downtown Gold Beach, Indian Creek offers adventure camping for those who don’t want to be too far from a grocery store, coffee shop and a decent restaurant. 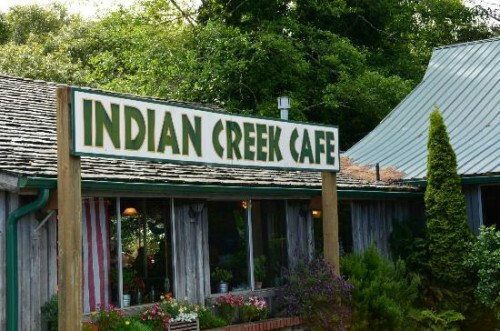 Which comes to the last but not least reason why this park is great, their on-site Indian Creek Cafe is a local breakfast hot spot! A short 20 miles north of us, you will find one of the coolest campgrounds around, Cape Blanco State Park. 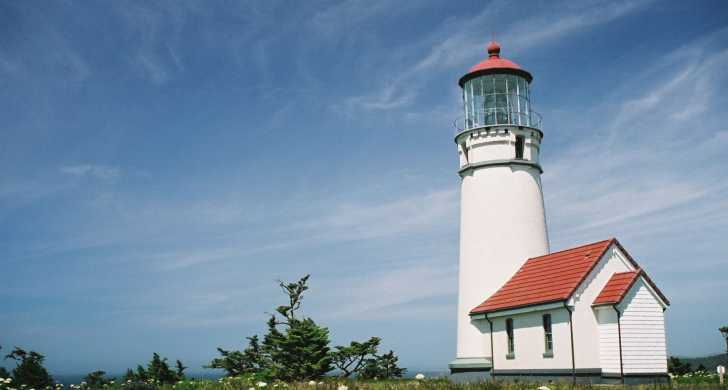 The reason being, it is right next to the southernmost lighthouse in Oregon, Cape Blanco Lighthouse. It doesn’t get more Oregon coast than that! Tours of the lighthouse cost $2 per adult, while 15 years and younger are free. The campground offers electrical hookups, sheltered tent sites as well as four standard cabins. You can even bring your horse, as they have 7 miles of riding trails and offer use of their horse camp facilities. 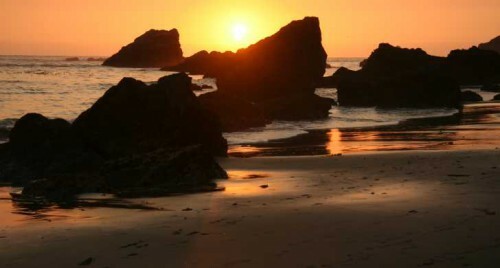 The furthest of the five at 40 miles south of us, Harris Beach State Park is worth the drive. The appeal is in the name as Harris Beach is all about, you guessed it, the beach! If you are looking for a sand-between-your-toes, kite-flying, sunset-watching and the occasional dip in the sea kind of camping experience, then Harris Beach is just what the doctor ordered. Located near Brookings Oregon, this park is has it all with full-hookups, electrical sites, tent sites and even cool yurts if you are lucky enough to reserve one.